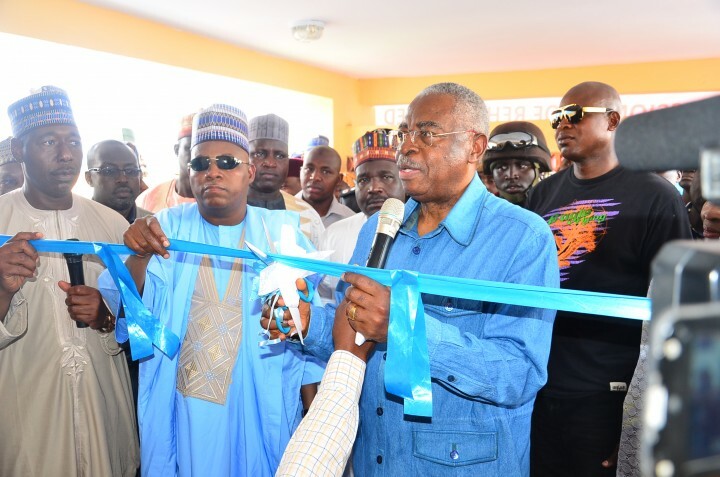 General Theophilus Yakubu Danjuma, a former Minister of Defense of the Federal Republic of Nigeria, on Wednesday commissioned a General Hospital, council secretariat, police station and 37 other public structures to set stage for return of internally displaced persons to Dikwa town, headquarters of Dikwa local government area in central part of Borno. 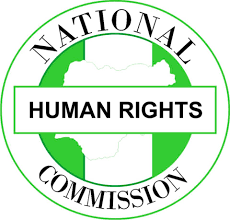 Dikwa used to be one of Boko Haram’s occupied and administered territories before liberation by Nigerian troops under the Buhari Administration. Dikwa is 80 kilometers from Maiduguri, the Borno State capital. 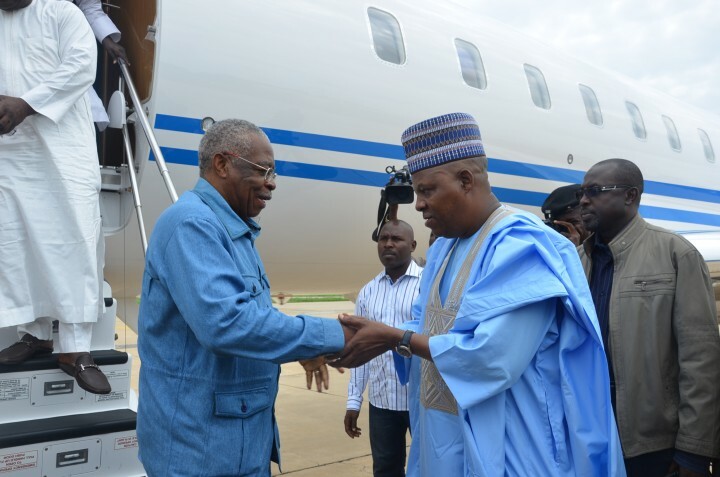 Danjuma had arrived ‎Maiduguri a little after 10am and was received by Governor Shettima at the Maiduguri International Airport before proceeding straight to Dikwa for the commissioning. It can be recalled that the Victims Support Fund, was initiated by former President Goodluck Jonathan and chaired by ‎Danjuma had two months ago gone into a pilot partnership with the Borno State Government which involved the Fund donating building materials worth two hundred million naira and cash of N50m for labour and supervision to the Borno State Ministry of Reconstruction, Rehabilitation and Resettlement which was to rebuild 24 public structures including a General Hospital, schools, the council secretariat, police barracks, police stations and other public buildings to put in place civil authority and essential facilities to prepare the return of IDPS. However, Governor Shettima guided the Ministry into using the same amount of materials to reconstruct 16 additional public buildings beside the 24 earmarked by the Victims Support Fund bringing to 40, the total number of buildings rebuilt through the partnership. Professor Sunday Ochoche, Executive Director of the VSF told General that the Fund gave the Borno State Government building materials worth N200m and cash of N50m for payment of labourers and other coordinating items to reconstruct 24 public buildings identified in Dikwa but to the their pleasant surprise, the State Government used the same materials and money to reconstruct not only the 24 public buildings to standard but added 16 others to make the total of 40 solid structures, describing the efforts has remarkable. Gen.Danjuma, said he was impressed with the ‘judicious use of resources by the Borno state Governor. He also noted that with the positive attitude displayed by the Governor, the Victims Support Fund has decided to make intervention on reconstruction of Bama town, the worst affected by Boko Haram occupation. The Danjuma said out of over N50b donated by corporate organizations, individuals and Government institutions during fund raiser at take off, only less than half the amount has been redeemed to the fund so far. He explained that when it was established, the scope of the Fund was to rehabilitate victims of the Boko Haram insurgency but that the Buhari Government expanded the scope of the Fund to include ‎reconstruction. He noted that Dikwa town was the test of reconstruction works by the Fund and Bama will be next. Danjuma also said the Fund would make intervention in supporting individual victims to rebuild their homes through a controlled system of donations made to them with supervision on how they apply the donations. In his remarks, Governor Kashim Shettima was full ‎of praises for General Danjuma’s role in managing the Victims Support Fund. “In 2014, when it was made public that one of Africa’s foremost philanthropist, one of Nigeria’s most disciplined Generals, one of northern Nigeria’s most revered leaders, General T.Y.Danjuma was to chair the Insurgency Victims Support ‎Fund, every reasonable Nigerian ad even the international community had hopes rising because everyone knew that whatever amount that was to be raised was going to be safe under the custody of our father, General T. Y. Danjuma. “Indeed, General Danjuma proved everyone right because not only did he work to redeem pledges and kept the money safe, he went as far as donating a whopping sum of ten million dollars which is equivalent of N3.4 Billion today, to the fund. 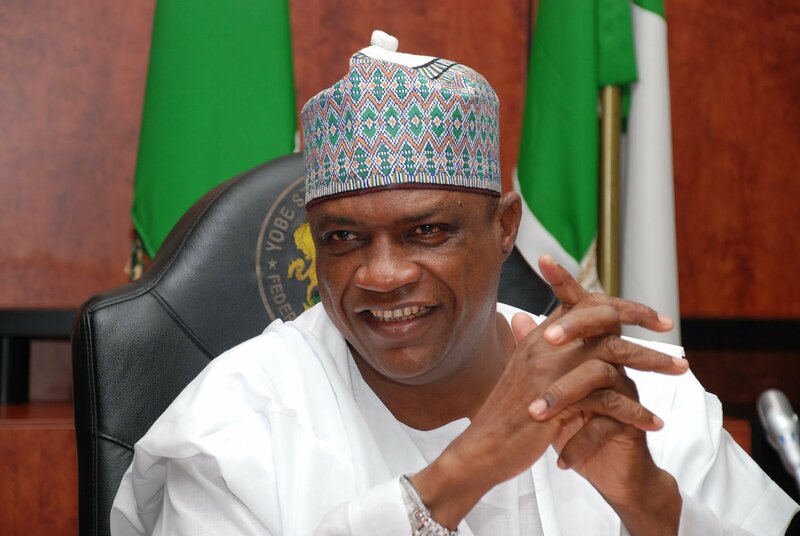 “Nigeria is grateful to General Danjuma and the people of Borno State are profoundly grateful to him because Borno is the nerve center of the destructions” Shettima said. The Governor pledged to be firmly committed to accelerating reconstruction works to fast-track the return of IDPS to safe communities so as to restore their dignity. ‎He explained that operating IDP camps is usually accompanied by series of problems. Dr Babagana Umara Zulum, Commissioner for Reconstruction, Rehabilitation and Resettlement in Borno State explained that Governor Shettima had sounded it clear that resources must be judicious utilized to achieve greater results and hence his Ministry’s strict adherence t meeting standard with minimum resources. The Commissioner conducted General Danjuma round the reconstructed General Hospital, the council secretariat, police barrack and a school, as samples of the 40 public buildings ready for use by citizens.